Day five’s entry. I had planned to make this early and kept getting other ideas. I have some blank cards and used scraps for the rest. Not a good photo but hopefully you can see it. I’m participating in Thing-a-Day 2011 over at http://thing-a-day.com/. It is a “collective creative blog that lives for one month every February. Participants commit to create new things every day and share them with the rest of the group” (taken from their site. It took me forever but I figured out how to autopost my entries there to this post. Below is day 1. 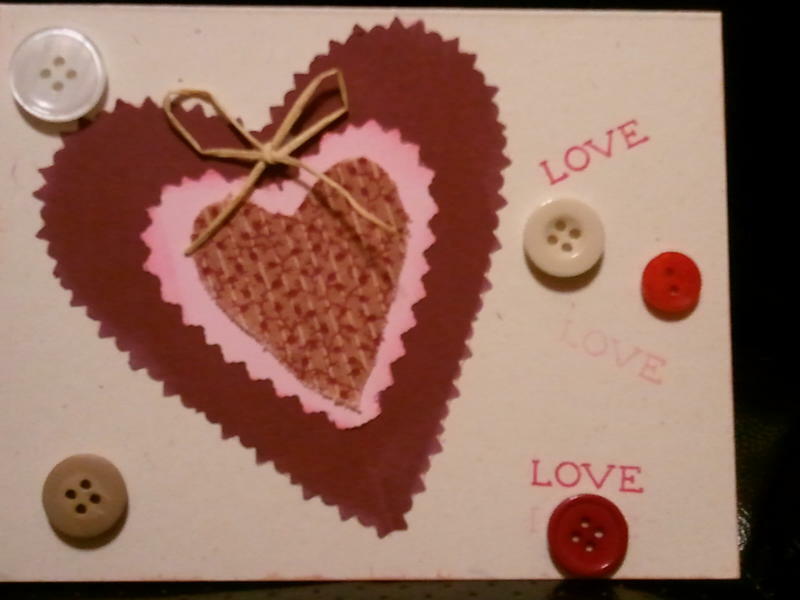 This was a quick make, hence the name, using scraps I had. Not sure what I’ll use it for. 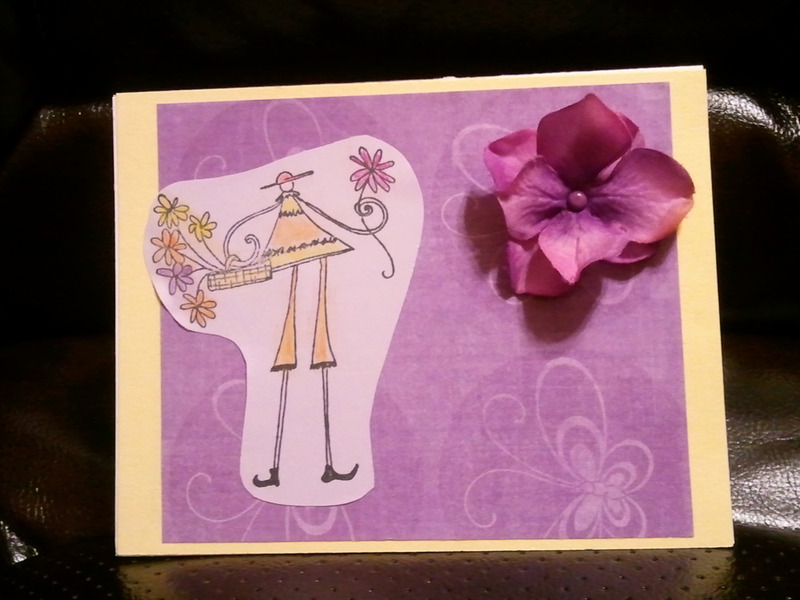 Maybe a happy spring card if Spring ever gets here!